U.S. and Cuban delegations met in Havana in early September to “focus on setting priorities for the next steps in the normalization process,” according to the Miami Herald. They set up a “steering committee in the rapprochement process” expected to hold regular meetings. The process was laid out last month after the American flag was raised at the newly-opened U.S. embassy in Havana. Secretary of State John Kerry noted on the occasion that “the road of mutual isolation that the United States and Cuba have been travelling is not the right one, and that the time has come for us to move in a more promising direction.” The Obama administration has since announced loosening of restrictions that would permit American citizens to travel to Cuba on both commercial flights and cruise ships. Superficially, it would seem that U.S. policy has moved away from a half-century of economic warfare, terrorism, subversion, and interference in the internal affairs of the nation American politicians have long considered a “natural appendage” of the United States, which would fall into the U.S. orbit like an apple from a tree, as John Quincy Adams once said. But despite extending formal diplomatic courtesies and speaking in a more conciliatory tone, the Obama administration has demonstrated behind the scenes that it does not intend to demonstrate mutual respect or recognize sovereign equality. As the delegations met on Friday, Obama quietly renewed Cuba’s status as an “enemy” under the Trading With the Enemy Act (TWEA) of 1917. Under this Act, utilized against Cuba by every President since John F. Kennedy in 1962, the government issues the Cuban Assets Control Regulations to set the terms of the embargo (more accurately described by Cuba and the United Nations as a blockade). By extending this enemy designation, the Obama administration is reserving the right to dictate the terms of the embargo, rather than allowing Congress to do so under the 1996 Helms-Burton Act. While Obama has shown himself more willing than Congress to relax some punitive and illegal aspects of the embargo than the current Congress, by continuing to define Cuba as an enemy he is both sending an hostile signal to Cuba and employing a transparent legal fiction. An “enemy” in the TWEA is specified as a government with which the U.S. is at war, as declared by Congress. Congress has never declared war on Cuba. They have not declared war on any country since Japan in 1941. 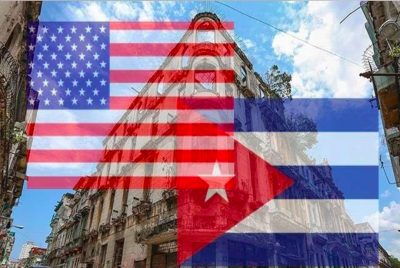 While it may be true that renewing the TWEA against Cuba may be more beneficial to Cuba by granting the executive branch greater flexibility, the fraudulent nature of the continued imposition of legal sanctions against Cuba should be emphasized. Though Obama has said U.S. policy against Cuba “has been rooted in the best of intentions,” it has in reality been rooted in vindictiveness and shrouded in legal distortions that continue to this day. At the same time, the flood of U.S. taxpayer dollars earmarked with the express purpose of regime change in Havana continues unabated. The fiscal year 2016 budget contains $30 million for this purpose. The infamous Radio Martí has been broadcasting John Birch Society type propaganda from Miami into Cuba since the 1980s. The U.S. has continued to fund the station, despite its being declared illegal by the Cuban government. 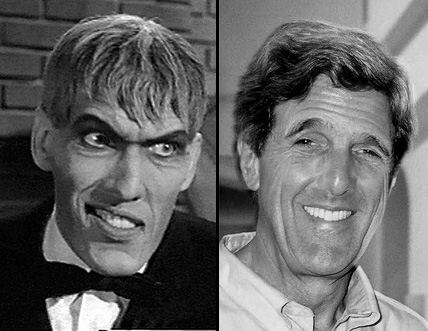 One wonders how the U.S. government itself would react if the Russian or Chinese government financed a program lambasting Obama, Kerry, and other Americans for political gain while disguising it as organically developed entertainment? It is not likely they would view a strategic attack created and financed abroad, rather than being a homegrown political expression of dissent, as protected free speech. USAID, after being exposed for its subversive Cuban Twitter program “ZunZuneo“, which sought to sow discontent and stir unrest among the Cuban population, and its effort to co-opt Cuban hip hop artists, announced last week that it is seeking three program managers to be awarded six-figure salaries. Eaton writes that the job description calls for “experience in the areas of democracy promotion, human rights, civil society development” and that candidates must obtain a “secret” security clearance. It is not hard to imagine that these highly compensated program managers would likely be implementing similar covert programs to destabilize Cuban society and attempt to turn its citizens away from the Revolution. It is clear that the U.S. continues to act towards Cuba with utter disregard for mutual respect and sovereign equality despite the formalities uncritically accepted by mainstream media as true normalization. By looking beyond the face value of the words of American officials, one can’t help but recognize that relations are anything but normal. Until the U.S. government recognizes that normal cannot include sanctioning, illegally occupying, and spending tens of millions of dollars on subversion and interference in another country’s internal affairs, “normalization” remains nothing more than a vacuous abstraction.